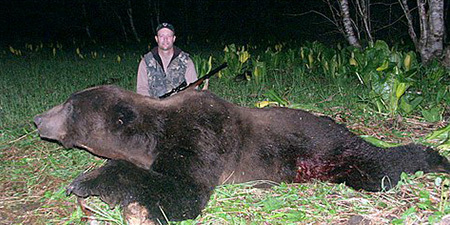 Now is your time to experience the world class brown bear hunting from certified Master Guide Keegan McCarthy. Download our free PDF hunting guide. 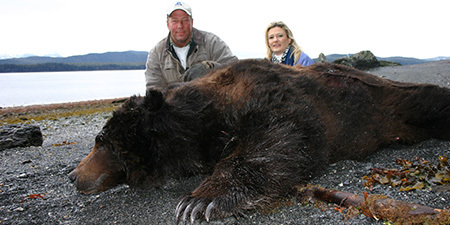 Join Us for Alaska’s Premier Yacht Based Brown Bear Hunts! 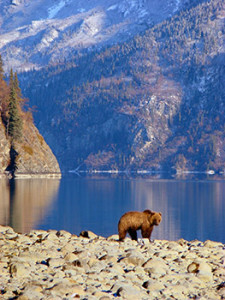 Coastal Alaska Adventures yacht based brown bear hunts are an outstanding option for hunters who want an all-in-one luxury hunting experience. 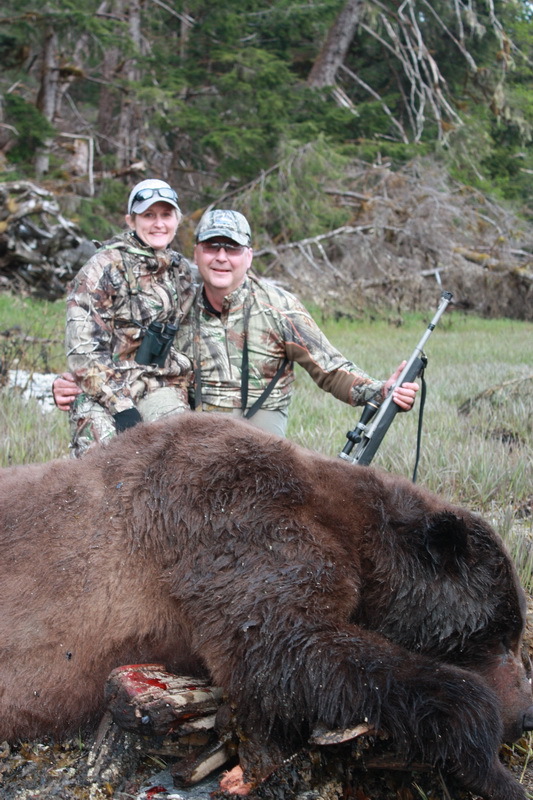 This is a true world-class brown bear hunt from start to finish, with standards that no other Alaska hunting outfitter can match. 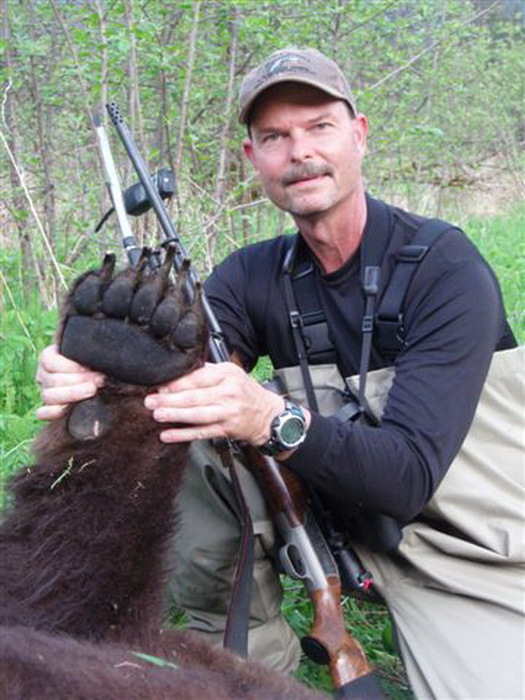 Our close knit staff of fully licensed professional guides set the standard for knowledge, skill, effort and experience to help you harvest the trophy brown bear of your dreams. 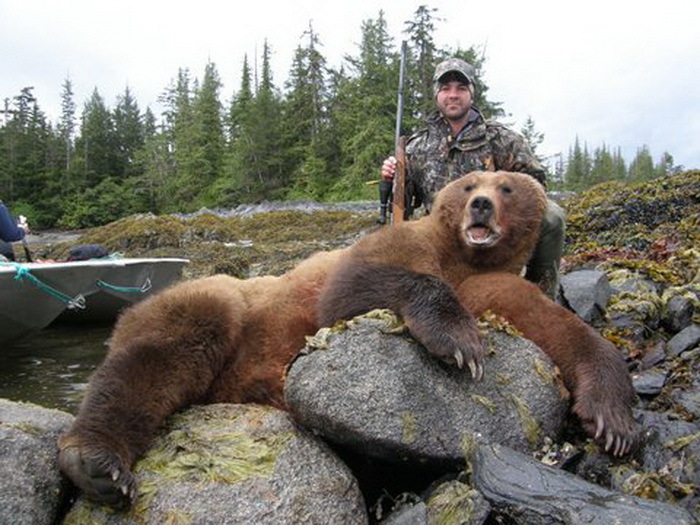 Not only do we have the finest accommodations and the hardest hunting most experienced guides, we also have what is probably the best concession for boat based brown bear hunts in Alaska. Owner and Master Guide Keegan McCarthy has worked for years to buy up and take over the longest standing and number one producing concessions available. 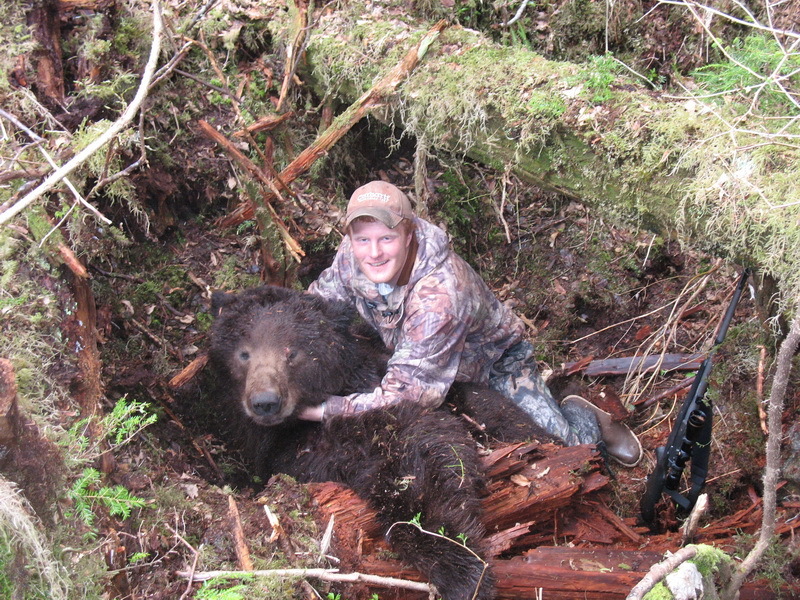 You will not find a better hunting area–one that has consistently produced the largest trophy bears in SE Alaska for nearly 30 years. Hunt Admiralty and Chichagof islands – World renowned for the highest density of brown bears in the world. Located in the heart of SE Alaska coastal inside passage, Admiralty and Chichagof Islands claim the most brown bears per square mile of anywhere in the world. 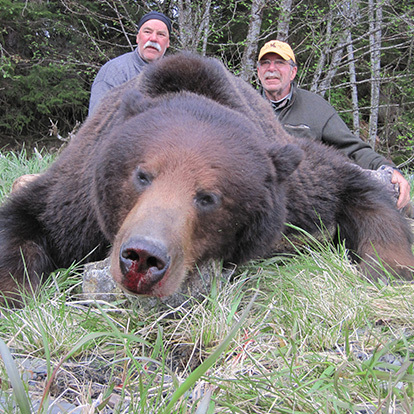 A successful hunt is based on opportunity, and more bears equals more opportunity. 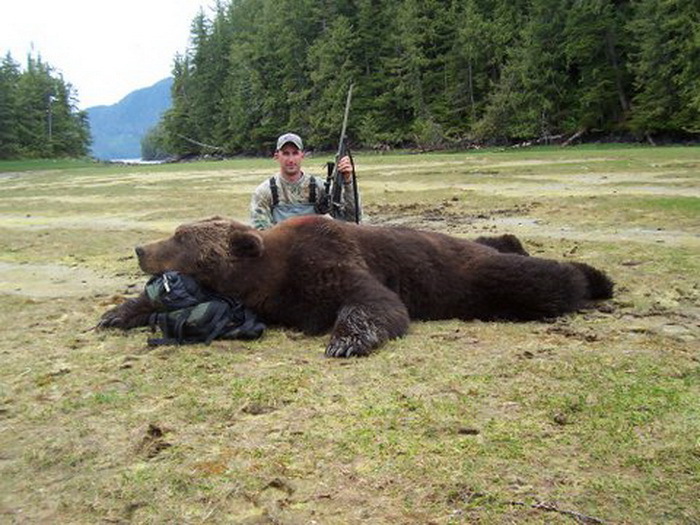 We work hard to find only the best trophies for our clients, with most bears averaging in the 8’6” to 9’6” range. 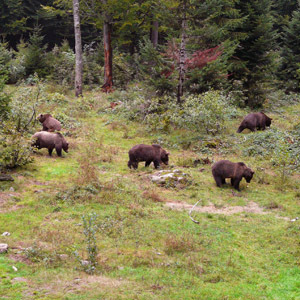 It is not uncommon to see upwards of 20 bears in a day of hunting. 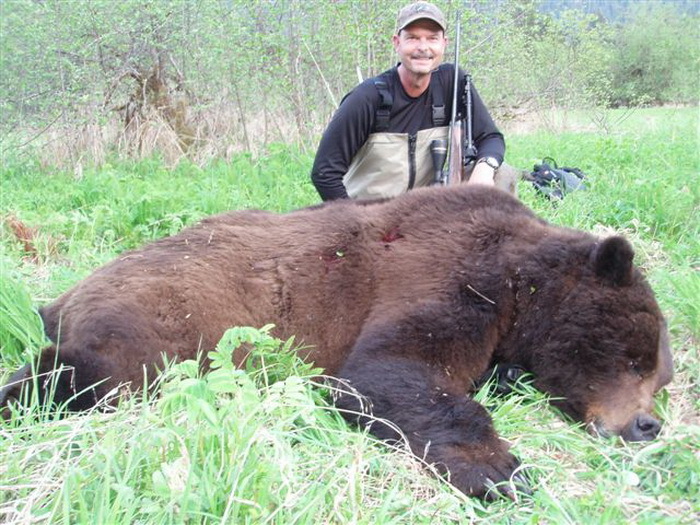 Not only will we work to give you an opportunity to harvest a trophy brown bear, but all of our hunts are sold as an adventure. You will be immersed in the natural beauty and awe of SE Alaska’s stunning scenery while aboard. It is not uncommon to see whales, eagles, seals, sea lions and a host of other animals while cruising between hunt areas. All trips include fishing if available, and we do our best to provide fresh Alaska crab and shrimp harvested during your trip. Our hunts are all yacht based, providing you with not only first class accommodations, but the best possible means of access to the remote shorelines of all of our hunting areas. We cater not only to the hunter, but non-hunting companions as well. Our first class accommodations make this the perfect adventure for the husband and wife. In the spring, primarily in the month of May, the brown bears begin to emerge from their dens. When they do, the first thing they want after 9 months of sleeping is to eat. Southeast Alaska is covered by dense rainforest and in the spring the first thing to turn green is the beach grass located along the coastline. As the bears come out of their dens they head straight to the beach to consume the fresh buds. hibernation. We will anchor the yacht in an area where we know bears frequent, and where there is plenty of grassy shorelines. Once anchored we will use smaller skiffs, typically 16-18 foot aluminum runabouts, to cruise the miles of endless shoreline. Once we spot a respectable bear we will put the boat ashore and make a stalk. If the bear is a trophy, we will then do what we can to harvest the bear while on shore. 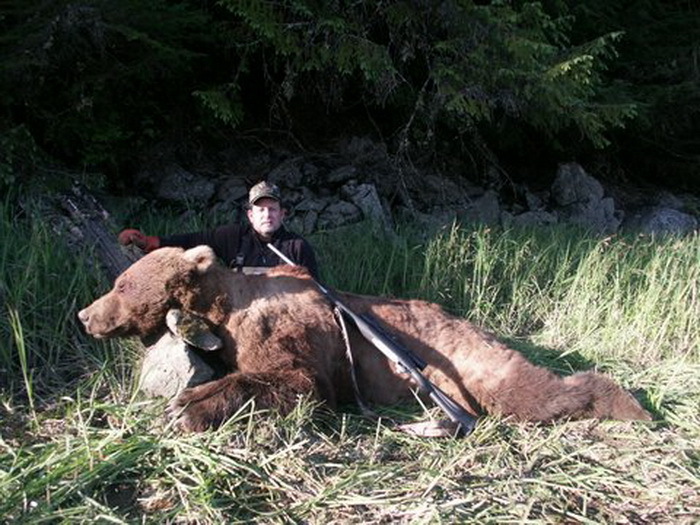 This method of hunting is highly successful, and typically allows us to see many bears on a 10-day hunt. 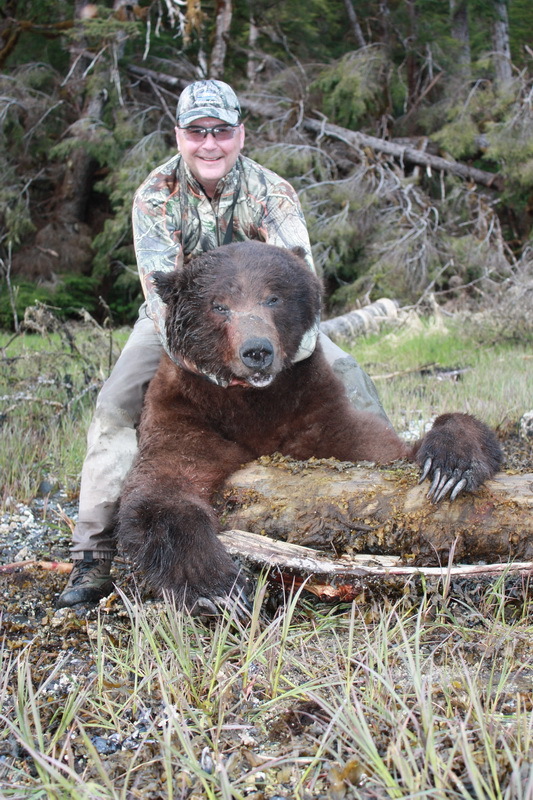 We usually run at about an 80% success rate for shot opportunity on our spring hunts, with it not uncommon for every hunter to go home with a bear. Mid-summer the salmon start to run into the streams. Southeast Alaska has literally thousands of salmon streams and millions of salmon return to spawn each year. When these fish enter the streams it is like a buffet line for the bears. Brown bears will use these streams from August until late September, feasting on the high protein salmon in preparation for denning up for the winter. This again allows us to know where the bears are, concentrated over a dominant food source. In the fall, we will anchor the yacht somewhere near a multitude of productive salmon streams. We will then use the small boats to access the shore, and will hike up the streams in search of large trophy bears. Typically we will trip over many small bears and sows on the way to the best fishing holes, which the largest bears lay claim to. It is a very interactive hunt, and not one for the faint of heart. Close encounters with bears of all size are not uncommon. A typical shot opportunity on a fall hunt is at about 40 yards! Either style hunt can be very productive and successful. 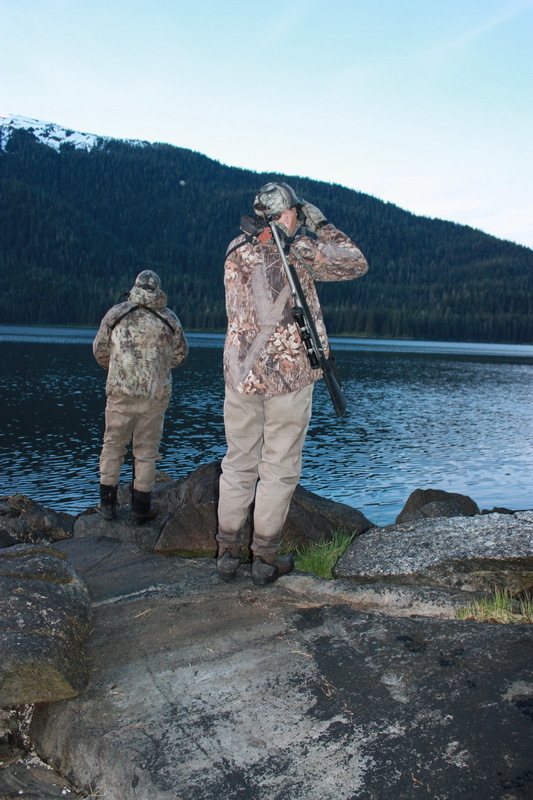 Spring hunts are usually less physical and can be enjoyed by hunters of almost any ability, while hunting in the fall you will need to be ready to spend long days in hip waders on slippery rocks and fording streams. Fall is much more physically demanding, but can be highly rewarding and a full adventure!